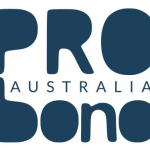 The Australian Advisory Board on Impact Investing is undertaking a national survey on how impact investing is developing in Australia and what potential it has to influence how funds are allocated and what is done to address social and environmental issues. Necessity is the mother of invention – and innovation. In Australia, social services expenditure has already passed $154 billion and demand in key areas growing faster than GDP. The need to consider alternatives is clear. The pressure of social and environmental issues and the need to respond to them, highlighted globally through the focus on the Sustainable Development Goals, has led to an increasing focus on impact investing. Investors large and small in Australia and overseas have started to look at the risks associated with social and environmental challenges are increasingly focused on how they can harness their capital in ways more aligned with their values – for public good as well as financial return. Social businesses, new enterprises and not for profits have also started to innovate, and to leverage this capital for social change. Impact investment is the growing field of investments purposefully designed to deliver both positive social impact and a financial return. As the Financial System Inquiry found, impact investing ‘has the potential to benefit government and taxpayers by reducing costs and improving social policy outcomes’. Globally, over 17 countries are now involved in driving capital for public good to a tipping point by 2020. The Australian Advisory Board on Impact Investing, Australia’s member of the Global Steering Group for Impact Investment wants to hear your views on what is happening and what is needed here to drive innovation and capital for impact. The AAB wants to get your perspective on how impact investing is developing in and from Australia and what potential you think it has to influence how funds are allocated and what is done to address social and environmental issues. Is this field evolving, what potential does it have and how best can we realise that? Please clink on this survey link to have your say and let AAB know what you think. People’s views collected through the survey will feed into a State of Field Report and will be a critical input to the next wave of strategy to catalyse Impact Investment in and from Australia. Rosemary Addis, AAB Chairperson, has said: “It is critical we get input from a range of people, whether they’re actively involved in the Impact Investing space or just starting to look at different ways of addressing social and environmental issues or their resourcing challenges and everywhere in between. “There are no silver bullets, but the experience of people on the ground and in different parts of the ecosystem gives critical insight into potential game changers that can put us on the path to impact at scale.” Addis said. Don’t delay. Take a few minutes to have your say and play a role in the development of this field in Australia. For more information please contact: karen.palenzuela@impactinvestingaustralia.com.